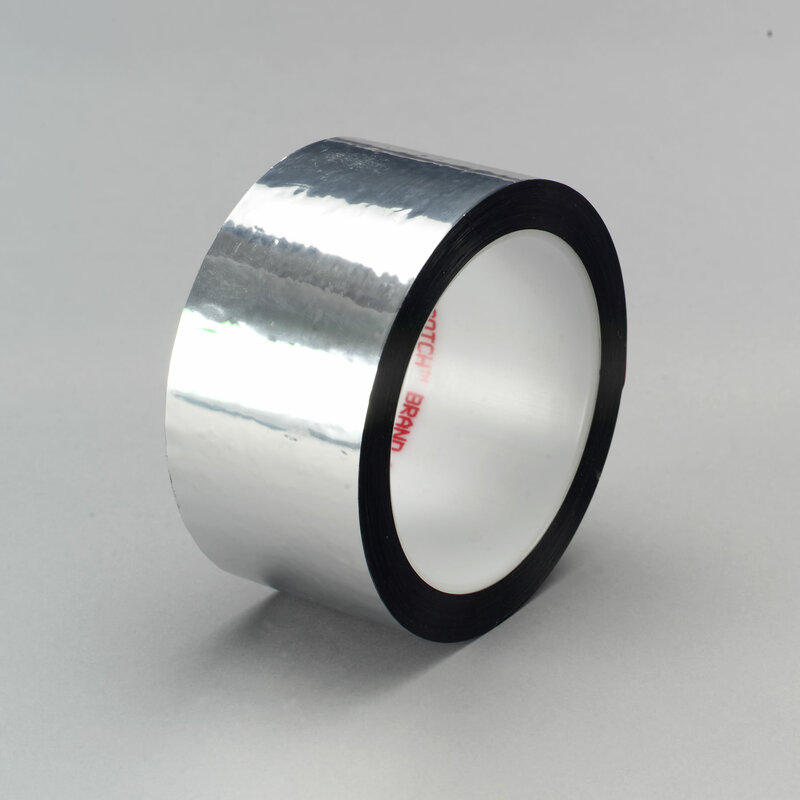 3M™ Polyester Film Tape 850 3M 850 | Fabrico, A Division of EIS, Inc.
3M™ Polyester Film Tape 850 Silver, 1.9 mil (0.05 mm), polyester and polyester film tape with acrylic adhesive. 3M™ Polyester Film Tape 850, chemical resistant. High clarity film used for splicing, holding, sealing and protecting. 3M™ Polyester Film Tape 850, 1.9 mil (0.05 mm), polyester and polyester film tape with acrylic adhesive. 3M™ Polyester Tape 850, red, black and white versions have pigmented acrylic adhesive. Silver, gold and transparent versions have transparent acrylic adhesive. chemical resistant. Used for splicing, holding, decorating, color coding and sealing.